Platform that connects readers to bloggers and vice versa. Our mission is to make it easier for readers to find quality content based on their interests while helping bloggers promote their blogs. 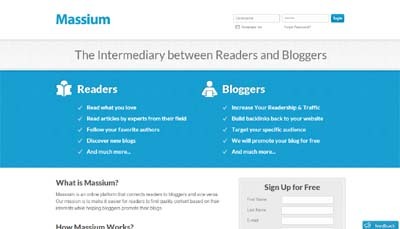 Massium is a better platform for bloggers to promote their blogs because it was created for that very purpose.